Travel on a moving 340-foot long glidepath. 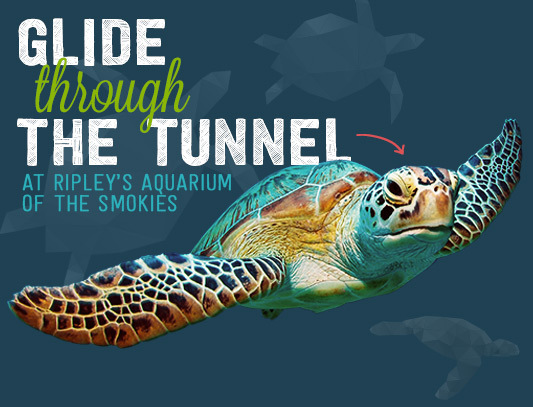 Wind your way through an underwater tunnel and come face-to-face with snappers, tarpons, grunts, squirrelfish, a green sea turtle, giant stingrays, sawfish, and very large SHARKS! Feel as if you were exploring the deep oceans and could almost touch the amazing sea life. Want to spend more time with these beautiful sea creatures? Learn more about Sleeping With The Sharks! Recognized by its exposed teeth and its ferocious appearance, the Sandtiger Shark is the largest shark in the aquarium. Native to warm waters the Sandtiger can reach lengths of 10 feet and upward of 400 pounds. Considered one of the most primitive of the bony fishes, tarpons are super predators that are hungry most of the time. They can grow up to 7 feet in length and weigh up to 286 pounds! Green Sea Turtles are open-ocean travelers, but dine in shallow water on sea grass, algae, and jellyfish. Destruction of their food source and nesting habitat, and the harvesting of their eggs has placed this species on the Endangered Animals List. Monsters under your bed? How about giant sharks over your head?! Participate in our most popular program offered by the Education Department. 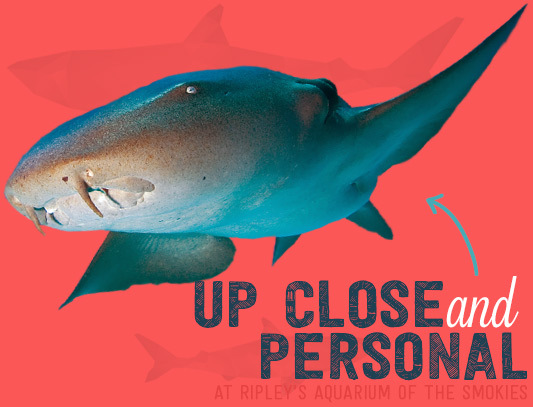 Join other groups, or bring your own and sleep under our sharks at night!